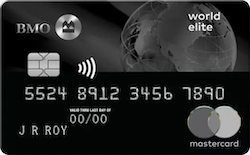 Spending Bonus: Earn $150 in bonus points for travel with your first $1,000 in everyday purchases. A total of $540 in value in your first year. You could get a 0% promotional annual interest rate (“AIR”)† for 10 months on balance transfers✪ completed within 90 days of account opening, with a fee of 3% of the amount advanced (minimum fee of $7.50. Low interest rate of 12.99% after promotional period ends. Need some extra cash? LoanConnect allows you to search multiple lenders for the best rates and terms—regardless of credit score! We are Canada’s leading personal loan marketplace. 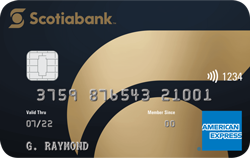 We believe in helping Canadians get access to competitive rates regardless of credit history. No banks, no waiting in line, no fuss. Apply in 5 minutes and get funds in your account today! 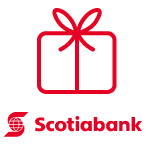 To get your rewards you must open a Scotia One Account with a SCENE ScotiaCard and set up your payroll or 2 pre-authorized transactions in your Scotia account. Your 10,000 SCENE points will be deposited to your SCENE membership account within 3 statement cycles. Get up to $2,000 In a Cash Bonus* with a mortgage from BMO! Search for your perfect home with our 130-day mortgage rate guarantee, the longest of any major bank. ** Plus, until June 30th, you’ll enjoy a cash bonus with a BMO mortgage with a closed term of four years or longer: • Get a $1,000 cash bonus for a BMO mortgage valued from $150,000† - $499,999 • Get a $2,000 cash bonus for a BMO mortgage valued at $500,000 and above. Disclaimer: *We guarantee your interest rate for the selected fixed rate mortgage type and term for up to 130 days from the mortgage pre-approval date. If the mortgage is not funded within the 130-day period, the interest rate guarantee expires. Applicable to residential mortgages only and subject to Bank of Montreal standard lending criteria for residential properties. Longest rate guarantee of any major bank as of March 1st, 2019. ** Terms and Conditions apply. † $100,000 for New Brunswick, Prince Edward Island, Nova Scotia, Newfoundland and Labrador. The first to learn is the first to earn. Sign up for our newsletter today!